Massachusetts State Police Trooper Leigh Abbott is a homicide detective who goes to the wall to find justice for her victims. But when confronted with single bone as the only evidence of a victim’s death, she teams up with Boston University forensic anthropologist Dr. Matt Lowell to not only find the rest of her victim but also their identity and means of death. Their first case leads them to a serial killer who nearly makes them his next victims. But as sparks fly and their relationship moves from the lab to the bedroom, they continue their mutual goal of finding justice for the victims whose story only Lowell and his team can hear―the dismembered, skeletonized, burned, drowned, and decomposed. When a human bone is found on a lonely stretch of coastline, a determined homicide detective and a reluctant scientist risk their lives as they join forces to bring a serial killer to justice. Trooper Leigh Abbott has something to prove, both to herself and to the chauvinistic men in her department. She’s been assigned a difficult challenge: solve a murder where the only evidence is a single bone. To identify the victim and find the killer, she must join forces with forensic anthropologist Matt Lowell. Matt’s initial refusal to join the team is only the first in a series of setbacks. Order the trade paperback from: Amazon.com, Amazon.ca, and Amazon.co.uk. Order the ebook from: Amazon.com, Amazon.ca, and Amazon.co.uk. Buy it now on Amazon and Kobo! At Halloween, Salem, Massachusetts is a hot spot for Witch and tourist alike. But when a murder spree begins, a cop and a scientist must team up to find the killer before a media circus unleashes, panic ensues, and more victims are killed. Forensic anthropologist Matt Lowell and Massachusetts State Police Trooper Leigh Abbott are called in to investigate burned remains following a fire in a historic antique shop. As Matt, Leigh and their team of graduate students investigate the death, clues point to Salem’s traditional Witchcraft community. However, having dabbled in the Craft as a teenager, Leigh is skeptical that someone who has sworn an oath of good to all and harm to none would commit premeditated murder, let alone kill in such a vicious way. Order it from: Amazon.com, Amazon.ca, Amazon.co.uk, Indigo.ca and Kobo.com (for both Kobo and Nook e-readers). Bibliophile Book Club: "Well worth adding to your list if you enjoy the forensic detail of Kathy Reichs’ Temperance Brennan coupled with the addictiveness of Cornwell’s earlier Scarpetta books! Highly recommended!" 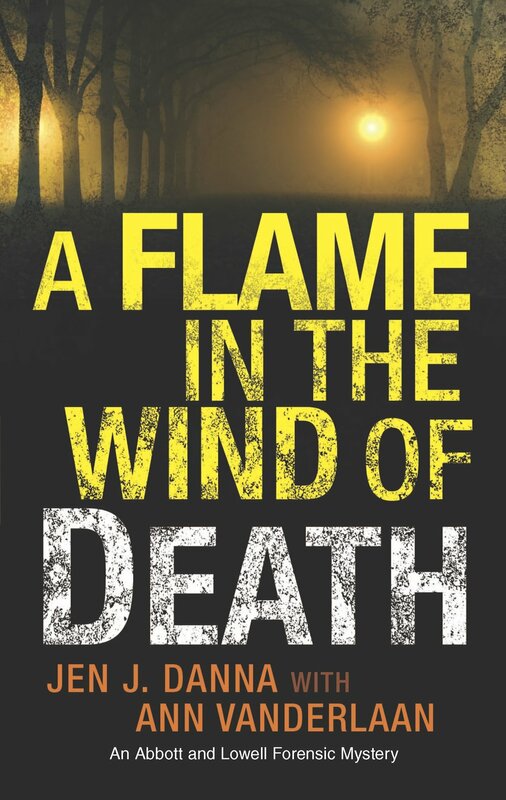 Steph's Book Blog: "I would recommend this book to anybody who enjoys their detective fiction with a scientific slant, it was more convincing than some I have read and made me realise how much work goes into an investigation." A-Thrill-A--Week: "The Abbott and Lowell series is entertaining and quite informational with a good dose of forensic science." Off-The-Shelf Books: "It's definitely a worthy rival to Kathy Reich and Patricia Cornwell, who are often thought of as the queens of forensic crime fiction. The Abbott and Lowell series is new, fresh, exciting and interesting, with forensics explained clearly without detracting from the plot." Crime Book Junkie: "Would I recommend this book? Hell to the Yeah, I would!! With twists that kept me guessing, a fantastic line up of intriguing characters and a plot that had me glued to my seat- this may just make one of my #TopReadsOf2017!"